All Heating and Cooling is a complete furnace repair, installation, and maintenance company based in Troy, Michigan, serving surrounding Metro Detroit communities such as Birmingham, Sterling Heights, West Bloomfield, Southfield, and many more. Licensed and insured, we provide 24/7 emergency service year-round! A warm home is a happy home, and All Heating and Cooling is equipped to keep your home feeling happy and warm year after year. With extensive experience servicing homes all across Metro Detroit, we can work on any type of heating system. Whether you’re in need of routine maintenance, service to your existing equipment, or the installation of new heating equipment, we’re prepared to meet your needs. In the same way that you would perform regular maintenance on your car, performing maintenance on your furnace is a great way to ensure that it is prepared to function perfectly whenever you need it. With great care and attention to detail, our experts will inspect your furnace to make sure that everything works as it should. 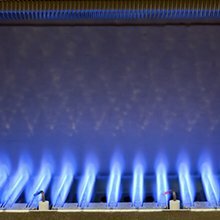 In addition to providing repair and maintenance services, we also install furnaces, humidifiers, and other heating system essentials. Whether you’re building a new home or replacing an old unit, we will install your heating system with as much care and attention to detail as we would our own. We’re confident in our ability to provide exceptional service, and we provide a 10-year warranty on parts and 3-year warranty on labor for all installations. Schedule your appointment today, and save 15% on parts!